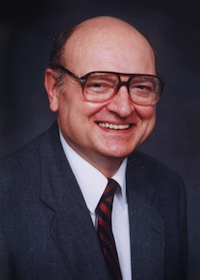 Dr. Ronald H. Nash (1936-2006) taught for over 40 years, teaching in the areas of worldview, apologetics, ethics, theology, and history. He was the author of numerous books, including The Concept of God and Faith and Reason. He earned his Bachelor's degree at Barrington College, and a Master's degree at Brown University, before going on to receive his Doctorate in Doctoral Philosophy Syracuse University in 1964. Following his doctoral work, Nash became the Chairman of the Department of Philosophy and Religion and Director of Graduate Studies in Humanities at Western Kentucky University in Bowling Green, Kentucky, where he served for 27 years. In 1991, he became Professor of Philosophy and Theology at Reformed Theological Seminary in Orlando, Florida and served there until 2002. Dr. Nash was also Professor of Philosophy at the Southern Baptist Theological Seminary in Louisville, Kentucky from 1998-2005. Ronald Nash passed away on March 10, 2006. He was survived by his wife, Betty Jane, and two children.